View a clip of about a woman whose habit was to buy a daily Starbucks from YouTube found here. Listen to her story and then brainstorm a list of habits you, your family, friends of yours or people you know participate in on a regular basis. These can be positive or negative. List may include, but not be limited to the following: coffee, smoking, chew, ice cream, breakfast at the local diner, fast food, soda, vending machine snacks, indoor tanning, lottery tickets, sports betting/wagers, a beer after work, exercise, video games, etc. Describe how habits can be costly. Try to get students to think beyond just the monetary costs associated with habits. 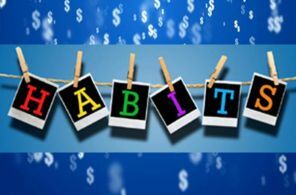 Yes, habits can be costly to our wallets, but also to our physical health, our emotional well-being or state of mind, as well as affect our social relationships. Sometimes the costs are positive and sometimes they are negative. After students present habit costs, ask students if their presented habit is worth the costs in their opinion and why. When all of the habits are presented as students to write a summary explaining what the title “The True Cost of a Habit” really means. Extension Assignment or Extra Credit: Create a video like those on the spendster website describing a habit that you have. Submit it for consideration on their website.